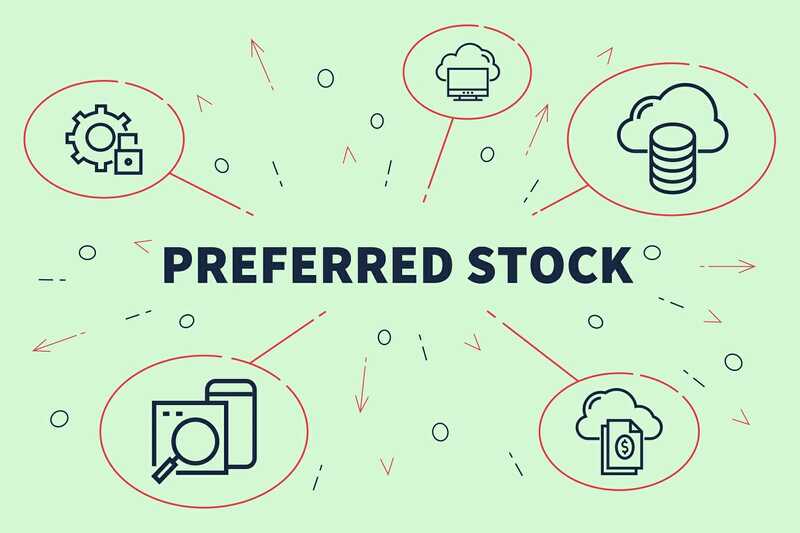 Preferred shares (also known as preferred stock or preference shares) are securities that represent ownership in a corporationCorporationWhat is a corporation? A corporation is a legal entity created by individuals, stockholders, or shareholders, with the purpose of operating for profit. The creation involves a legal process called incorporation where legal documents containing the primary purpose of the business, name, and location, and that have a priority claim over common shares on the company’s assets and earnings. The shares are more senior than common stock but are more junior relative to bondsBondsBonds are fixed-income securities that are issued by corporations and governments to raise capital. 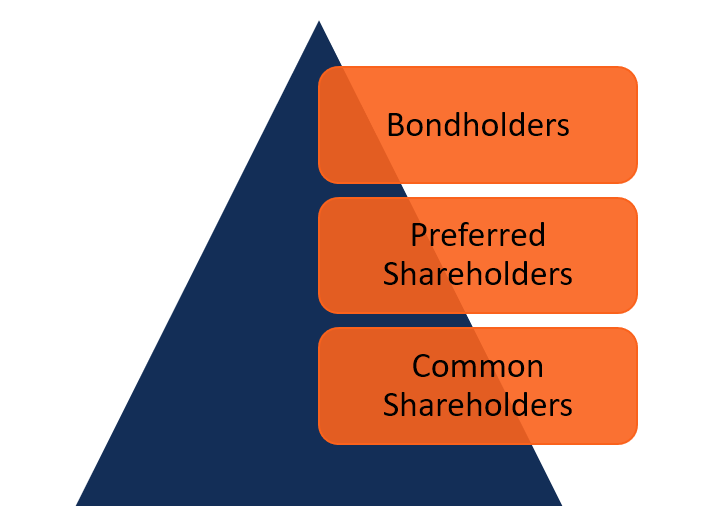 The bond issuer borrows capital from the bondholder and makes fixed payments to them at a fixed (or variable) interest rate for a specified period. in terms of claim on assets. Holders of preferred stock are prioritized over holders of common stockCommon StockCommon stock is a type of security that represents ownership of equity in a company. There are other terms – such as common share, ordinary share, or voting share – that are equivalent to common stock. in dividend payments. Preference in assets upon liquidation: The shares provide its holders with priority over common stock holders to claim the company’s assets upon liquidation. Dividend payments: The shares provide dividend payments to shareholders. The payments can be fixed or floating, based on the interest rate benchmark such as LIBORLIBORLIBOR, which is an acronym of London Interbank Offer Rate, refers to the interest rate that banks charge other financial institutions for a short-term loan maturing from a day to 12 months. LIBOR acts as a benchmarking base for a short-term interest rate for the interest prices of securities like currency swaps,. Preference in dividends: Preferred shareholders have a priority in dividend payments over the holders of the common stock. Non-voting: Generally, the shares do not assign voting rights to its holders. However, some preferred shares allow its holders to vote on extraordinary events. Convertibility to common stock: Preferred shares may be converted to a predetermined number of common shares. Some preferred shares specify the date at which the shares can be converted, while others require the approval from the board of directorsBoard of DirectorsA board of directors is essentially a panel of people who are elected to represent shareholders. Every public company is legally required to install a board of directors; nonprofit organizations and many private companies – while not required to – also establish a board of directors. for the conversion. Callability: The shares can be repurchased by the issuer at specified dates. Convertible preferred stock: The shares can be converted to a predetermined number of common shares. Cumulative preferred stock: If an issuer of shares misses a dividend payment, the payment will be added to the next payment. Exchangeable preferred stock: The shares can be exchanged for some other type of security. Perpetual preferred stock: There is no fixed date on which the shareholders will receive back the invested capital. No dilution of control: This type of financing allows issuers to avoid or defer the dilution of control, as the shares do not provide voting rights or limit these rights. No obligation for dividends: The shares do not force issuers to pay dividends to shareholders. For example, if the company does not have enough funds to pay dividends, it may just defer the payment. Flexibility of terms: The company’s management enjoys the flexibility to set up almost any terms for preferred shares. Secured position in case of the company’s liquidation: Investors with preferred stock are in a more secure position relative to common shareholders in the event of liquidation, because they have a priority in claiming the company’s assets. Fixed income: Most preferred shares provide their shareholders with a fixed income in the form of dividend payments.